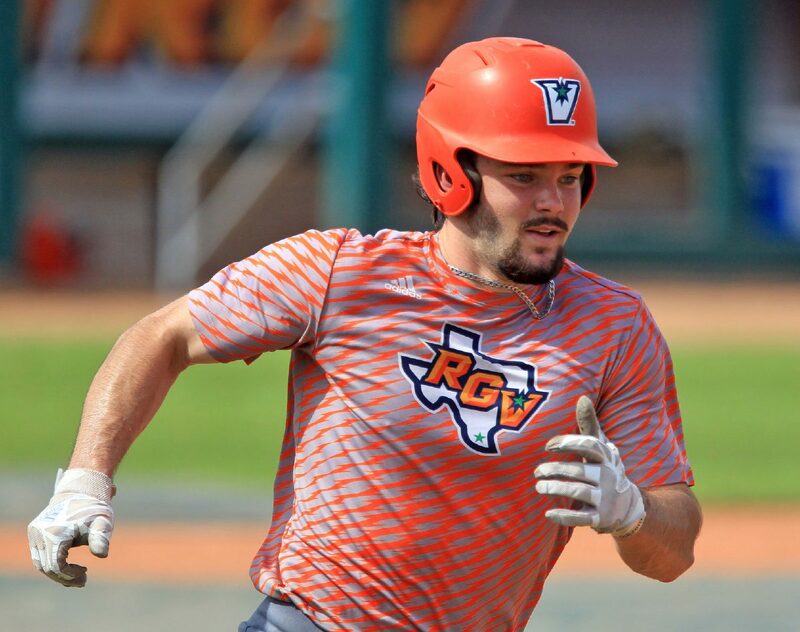 EDINBURG — UTRGV senior Austin Siener estimates the Vaqueros have played more than 1,600 innings of live baseball since starting practice in the fall. 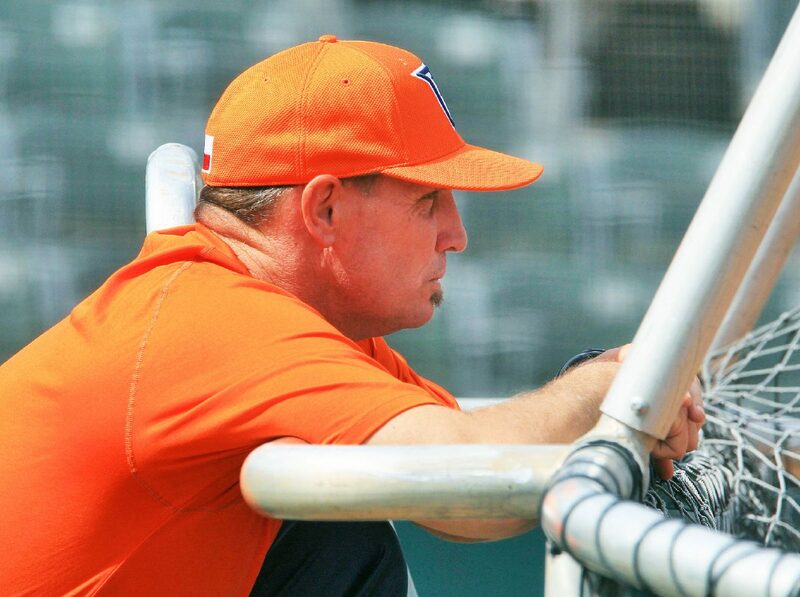 While many programs cruise through batting practice, new UTRGV coach Derek Matlock wants to defend every ball live and keep pitches coming at a breakneck pace. He said the team records at least 52 innings worth of outs each day. During early practices, Matlock said he noticed a lot of cramping and puking. But after he held a session with fewer live balls during the third week, he said five players came into his office the next day asking for the opportunity to continue playing live. That was the last time they had a red-light day, as Matlock labels the slower session. Grubbs, a sophomore transfer from North Central Texas College, is slated to bat leadoff as UTRGV opens Matlock’s first season with a game against Central Michigan at 7 p.m. Friday at UTRGV Baseball Stadium. Grubbs described himself as an aggressive player who loves to attack the first pitch — an apt fit for a UTRGV program that promises to play at a fast pace. Competition has been another staple of Matlock’s practices. The Vaqueros are divided into position groups, then divided again between first team and second team. With so much live baseball each day, Matlock says the players set the lineup based on their performance. That system has been kind to Grubbs, who hit .495 during the fall, Matlock said. The sophomore played just one year of JUCO at North Central Texas, unhappy with the program’s resources. He said the players largely coached themselves, the batting cages were never open for extra hitting, and players had to secure their own gym memberships with no team weight room. Matlock knew Grubbs’ coach from Denton Ryan High School, and he knew that Grubbs was an academic qualifier to play at UTRGV, so he gave him a call. Seeing a West Virginia number, Grubbs initially didn’t answer. He returned Matlock’s call when one of his coaches from Denton Ryan explained who Matlock was, and about two days later Grubbs came down to Edinburg for a visit. He very quickly became sold on the facilities, weather and staff. Grubbs was a shortstop in high school but transitioned to center field after the starter at North Central Texas went down to injury. Grubbs thought he might return to the infield at UTRGV, but Matlock has lauded his range and defensive ability in center. Grubbs beat out last year’s starter, Conrad McMahon, for the job. Growth is going to be the focus during the nonconference season, as Matlock aims to expand pitch counts and find starters at each position prior to the beginning of conference play in late March. Matlock has what he calls a master plan mapped out on the wall behind his desk in his office. The giant calendar has breakdowns of specific practice focuses on certain days, and each game day space is filled with the logo of UTRGV’s opponent. In late June, two weeks of the calendar are filled with the College World Series logo. A .500 finish alone would be a step up for UTRGV, which hasn’t posted a winning record since 2012 and hasn’t qualified for the WAC Tournament since 2014. The recent results haven’t hurt UTRGV’s preseason confidence. Siener, a returner from last season, said the Vaqueros have quickly taken to the new coach and style of play. UTRGV was picked to finish seventh out of nine WAC teams in the preseason coaches poll, adding motivation even for Grubbs and the team’s 20 other newcomers.